Tumi - Just slightly off the beaten path. But so worth the journey! 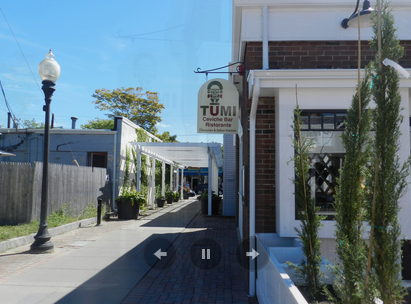 Tumi Ceviche Bar & Ristorante isn't well known (yet) but it will be. It opened a couple of years ago, I discovered it last summer. I ran into my friends, Dave and Christine at Home Depot and they gave me the scoop about it. Since the discovery, I've been there many times. It's set just off Main Street in Hyannis (592 Main Street - Rear). There is a walkway with an arbor, right next to Cellar Leather. Head down that walkway and Tumi is on the left. They have a lovely outdoor patio and a really nice, cozy interior. A great bar and an open kitchen. They are currently open for lunch and dinner. They bill themselves as Peruvian-Italian. You might be asking yourself what sort of food is that? It's damn good food! According to sources Peruvian cuisine is among the most varied and best in the world (I bet those sources are from Peru!). Not only do they combine indigenous food like corn, potatoes, tubers, beans, and quinoa but their cuisine has Spanish, Italian, Asian, and African influences as well. They have a lot of ceviche choices, which is a very popular dish in South American. Basically, it's raw or slightly grilled fish with an acidic juice (often lime), salt, sweet potato, onion, cucumber, and or other veggies. Now my mom doesn't eat anything raw, but she did try 2 of the ceviches and loved them! The acid from the lime juice chemically "cooks" the fish so it doesn't feel raw at all. So do try it (they have a veggie ceviche in case you don't eat fish). They have many great apps, risotto, pasta and full dinners too. (and yes they serve meat too, steak, lamb, chicken and so forth). They have a great menu, check it out, it's all on their website here. Now as most of my readers know, I have to be gluten free. My very favorite menu item is the GF Lobster Bisque. I rarely get to have soup in restaurants as most places thicken it with flour. Tumi's Bisque is really excellent. When I first started going to Tumi none of their risotto's were gluten free, now the Lobster Risotto is GF and it's great. I'm not sure if the others are GF but if not I hope they will make more of their food GF. I want to try everything. The only thing actually labeled GF on the menu is the soup and since many of my readers also follow a gluten free diet I want to tell them that I did get glutened at Tumi. Sadly it happens at most places now and then. It was a Saturday night and super busy and I think it was a slight cross contamination. On the bright side, the day after it happened I emailed Tumi and they were beyond responsive. The manager told me she would look into it (they all say that, right?) and she got back to me the next day. We had exchanged a number of emails about what went wrong and we all came to the conclusion that it was a cross contamination. She (the manager) assured me that everyone in the kitchen would be retrained and was very apologetic. The very next time I visited Tumi I searched out the manager and she was very kind, apologized again ,and I since have had many delish meals there all of which have been gluten free. No problems at all in the past year +. That being said I'd talk to the manager when I ordered if you want to be extra careful. All in all, it's a great restaurant, great space, very nice staff, and wonderful food. I go there frequently. Coming soon they are opening a new Mexican Restaurant and Tequila Bar: Aztec City. 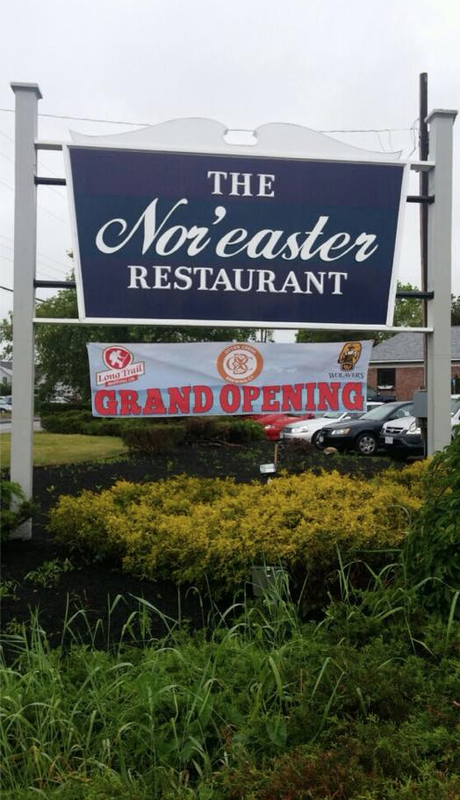 Nor'easter Restaurant, time to blow on by? The Nor'easter Restaurant is in the space formerly known as the Paddock. I was there on Friday night with a group of friends for drinks, appetizers, and maybe dinner. They had valet parking, and that valet guy was the highlight of the evening. He was nice, outgoing, and funny. I should have stayed outside and chatted with him. But I did go into the bar area and found my friends. Some were at the bar, a few playing pool, and a few more at various high-top tables in the bar. We were not one big group that overwhelmed the place but a few small groups that arrived at different times and ate and drank different things. It was busy but not overcrowded. I had only been to the Paddock Restaurant once in my life so I can't make too many accurate comments about if it's changed much, but to me the bar area looked almost exactly the same as it looked before. There is a nice pool table room that I don't remember from the Paddock, but I'm not a huge pool shark (I actually have a pool table) so it may have been there before. The dining room seemed a bit freshened up but more or less to me it looks the same as it used to. I sat at one of the high-tops, and it took 20 minutes for the server to get to our table. She was nice but clearly frazzled. She took drink orders and left. About 15 minutes later she began to deliver the drinks, one at a time. Not on a big tray, not one in each hand, but one drink at a time. It had taken about 45 minutes before I had a drink. Yikes. I watched a lot of the food go by, and it looked fine, none of it look inspired, it was just decent looking seafood. If I remember correctly, the oysters on the half shell were over $2. a piece, even Naked Oyster is less expensive, so I thought that was a bit much. I didn't see any go by me so I can't comment on the presentation. I asked the waitress if they had any gluten free food. She said she didn't know and that she'd check. As everyone who is GF knows, that's a very bad sign. If the server help isn't trained about gluten and cross contamination, it's probably not going to be a place I'd like to eat at. She came back 18 minutes later to tell me they could make me a dry piece of fish and mashed potatoes. Really? I was shocked. When I first had to go GF back 12+ years ago, that was the sort of meal I would have to eat when dining out. But in the ensuing years restaurants have now offer amazing gluten free meals. In the same market that Nor'easter is in (Main Street, Hyannis) you can get GF pasta, GF french fries, GF fried fish, and so much more, so it was amazing to me that not only do they not have a GF menu, but they didn't really know much about what is and what isn't gluten free (or at least the server didn't). I asked the server if the oysters on the half shell were GF and she said she was told just the fish and mashed were. Well, we all know that plain oysters are too. At my table was a big bowl of Portuguese Kale soup which my friend said was splendid. Of course, I couldn't taste it because it wasn't GF but it looked like it had a lot of potatoes in it (and because of that I'm not sure why they needed to add flour to it). Another friend also ordered a shrimp cocktail. I think it had four shrimp, they were big, fresh looking, and she said it tasted great, but it was just a shrimp cocktail. Even the presentation looked dated, tall bowl/glass with ice and shrimp hanging over. Surely there must be another, more creative way, to present it. A few other dishes were ordered, it took ages to get them and not one person in our group decided to order dinner there, as a matter of fact we all went to another restaurant down the street to eat dinner. There was another mishap when we asked for our checks. Not one of them at our table was correct. A few were under charged, a few over charged and it took 40 minutes for the server to figure out how to fix them. We left and that great valet guy chatted with us and we left. I know the restaurant is new and has a "few" kinks to work out, but this was by far the worst open I've ever been to. My last gripe is that they don't have a website, who doesn't have a website? They do have a Facebook page with very few posts on it, and it's as uninspiring as the food. Some of you may know that my real job is doing media and marketing for businesses, Nor'easter your social media needs Rx. I don't think I'll ever go back, with almost nothing I can eat why would I? Oh and one last thing, if you look at their sign at the very top of this article you can see that the "garden" under the sign is totally filled with grass and weeds. Right now I think this place is in the weeds. Still Gluten Free on Cape Cod! For years now I've maintained a gluten-free list of restaurants and markets on Cape Cod - many with reviews. 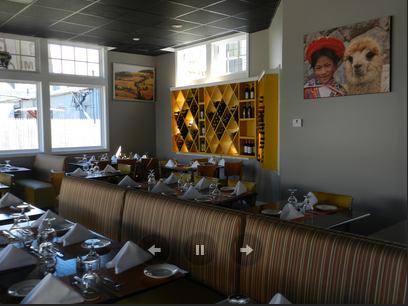 The list is organized by town and the restaurant links are clickable. It's only $3. Yes I know there are some free apps out there, I have them. They are nowhere near as extensive as my list. I offer a money back guarantee (no one who has bought the list has ever asked for a refund) on the list so if you need to be gluten free on Cape Cod you should have this list. More than 3/4 of the places I have on the list are NOT on the free apps. I have Celiac disease and have been gluten free dining on Cape Cod for 13 years. I've got the goods! 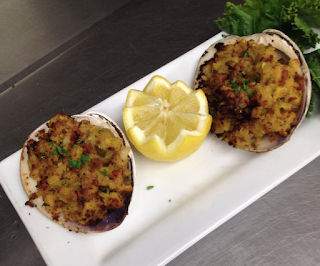 So if you need to be gluten free on Cape Cod please try our list it's the very best there is. Buy it just to the right of this post, in the narrow right column, there is a Paypal link. Many thanks, enjoy the Cape! 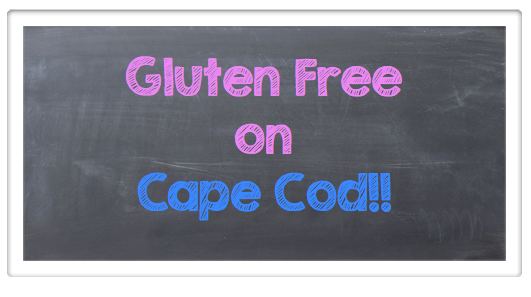 The best information on being gluten free on Cape Cod!! I know, I know.... I'm almost non-existent as a blogger now, which is sad because I actually want to blog. I stopped writing because people keep telling me I can't write like I speak. So I've spent hours, sometimes days, rereading and rewriting blog posts. It took all the fun out of it, I got to the point where I dreaded doing it. 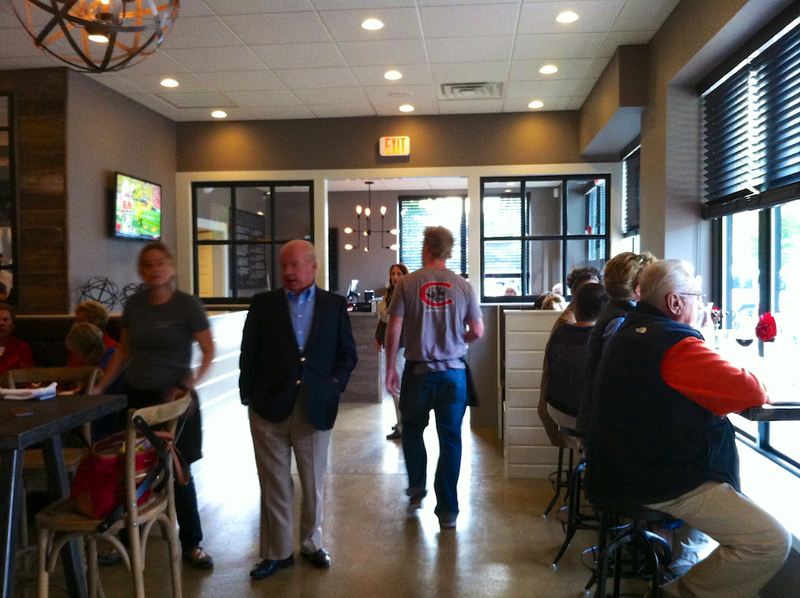 It's located in the old Oak & Embers location and owned by the same people (The Wicked Pizza group). My first thought was: do we need more Mexican on the Cape? My second thought was: why did they choose to do Mexican? I'm a business person, I actually work with small business. I help them make good decisions that will in turn make them more successful. I'm not sure El Colibri was a great decision. Had I been hired to come up with a concept for a restaurant on Cape Cod it would not have been Mexican. I don't think people come to the Cape to eat Mexican food, they come to eat seafood. My advice would have been a take off on a clam shack. Just a tiny bit more upscale so it would have table service and alcohol. Sort of like Jasper White's Summer Shack in Boston. 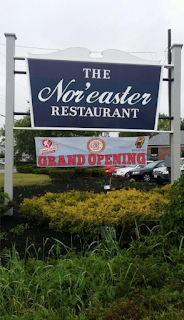 Very casual, the best lobster roll in town, oysters, clam chowder, grilled, fried and baked seafood. Maybe served in baskets with newspaper. Fantastic slaw, fries, corn on the cob, and seafood. If you ask tourists why they come to the Cape, seafood is usually among their top 5 reasons (along with beaches, biking, ice cream). OK, they didn't ask me for help and what we got was another Mexican restaurant and I guess that's what I'll review. I was there the other night with 3 family members. The dining room was busy (but not full) and the bar was about half full. The interior of the restaurant looks more or less the same as it was when it was Oak & Embers. They painted the walls an orangy color and hung up some Mexican decor, but nothing else has changed. The experience didn't start out really well. We waited quite a while for a server to even get to our table. We ordered drinks and the house Nachos. The regular Margarita's were excellent. They really make a fantastic drink. However, they didn't come in a Margarita glass but in a plain bar glass (I believe it's all the same glasses, plates, etc. that they used in Oak & Embers). Either way they were really good. The Nachos came and they were so-so. Heavy on the refried beans and cheese. Slightly greasy. My daughter, who has never turned down a nacho of any sort, ate some but said she didn't really like them. We ate half of them and the consensus was they were too heavy and nothing special. We ordered dinner, Mahi Fish Taco, Smoked Pork Belly Taco, and Seafood Paella. The taco dinners only came with 2 taco's (most places seem to serve 3) which is fine by me but I would have expected more fish in mine since there were only 2 tacos. My fish was in the shape of a fish stick, now please understand it was not breaded nor was it a fish stick, I'm just trying to give you an idea of the size. One taco had 1.5 of these "sticks" in them and the other had 1. The fish was "grilled" but so blackened that I am reasonably sure had you fed me a bite of one with a blindfold on I would not have been able to identify what sort of protein I was eating. The fish was almost flavorless. However the slaw and salsa in the taco were delish. I really enjoyed that slaw, along with the Margarita, is was the high point of the meal. 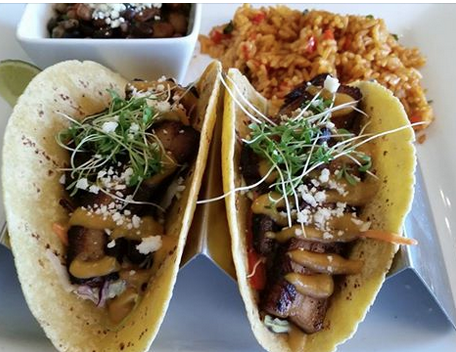 The Pork Belly taco was again only 2 tacos and they were overpowered by the barbeque/smoke and the pork belly was dry. Both meals were served with rice, beans, and a small nondescript salad. The Seafood Paella was a bit dry as if the rice had been made way ahead of time and left to sit around. The seafood in it was fine, but it didn't look anything like the picture below, which I took off the restaurant Facebook page. 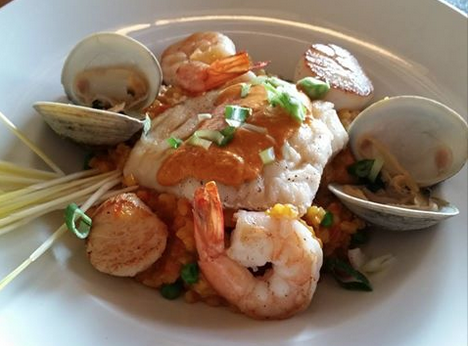 The dish was predominately rice with a little seafood in the center. So that's it, I'm not impressed. I don't think I'd go back for dinner again. I'd go to the bar with friends and have one of those yummy Margaritas. We spent $103.00 (not including tip) on our meal (we each had only 1 drink) so it's mid-priced, I guess. Honestly, 3 meals for $103 in a Mexican restaurant I'd have expected the food to be great. I do need to mention that they have a fairly extensive gluten free menu and I didn't have any problems at all with that. Everything I had was GF. What slays me is that I love Wicked Pizza and go there regularly. How can they get one restaurant so right and the other is just ho-hum? I'd love to hear from any of you that have been there to get your take on it. Not sure if you know this already but it's totally news to me. Has anyone seen these products? On that page they also have a bunch of recipes you can use with their various products. I better start a pre-diet now before I find the products and start baking! Also I keep hearing the Dunkin Donuts is going to have packaged GF muffins and donuts... has anyone seen any on the Cape? 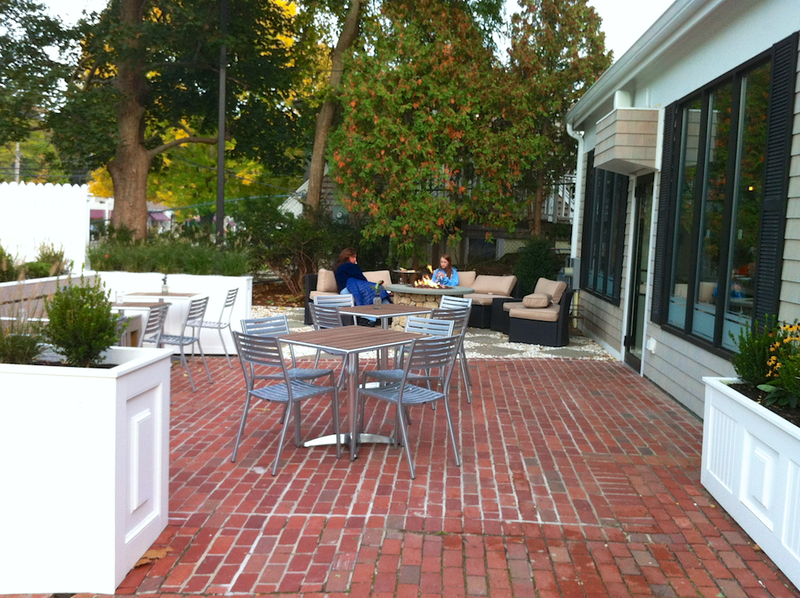 Crisp - A New Osterville Hangout! Osterville certainly needs more dining choices and we finally have one. Crisp at 791 Main Street in Osterville. In a former life it was a pizza place and a coffee shop. It is owned by the 5 Bays people. I've been there twice. I'll say right off the bat, I do like it. It's got a great vibe. However, there are a few negatives to my review, so read on. They do have a small parking lot, a plus in Osterville but small is the operative word. I've been lucky to get a space on the street each time I've gone but I suppose one could park in the big lot by Wimpys. They have a great outdoor seating area that has 2 fire pits and last night even the outdoor area was full. The inside is an inviting, warm bistro. With a large marble bar, nice wood high top tables and a couple of booths. There is an open fire pizza oven that makes the place seem cozy and it smells like a wood fire. This is the sort of place I love. My first visit there was last Friday. I met a bunch of people there from our "Friday Night" group and we all sat at one of the high top tables. A few members of our group had one drink and left because Crisp only serves beer and wine and I guess they can't live without mixed drinks. I'm fine with that and they have a nice wine list and some interesting beers. I split my dinner with a friend and had the Caprese Salad and Shrimp Aglio e Olio. 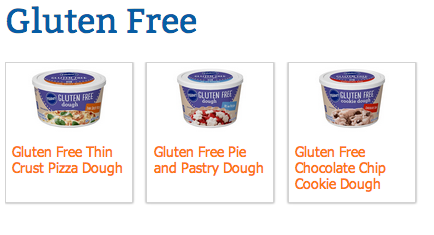 As many of my readers know I have to be gluten free and Crisp has GF pasta on hand. Both dishes were good. And the GF pasta was a linguine and was cooked al dente. Very nice. I guess if I had to make a complaint about either dish it would be that the Shrimp dish was not as visually appealing as I would have liked, everything was pale in it. But it tasted great. I was there again last night, same great crowd and I'm still loving that wood fire smell. This time we sat at the bar. The bartender (Liam?) was adorable and I'd go back just to look at him. (ok I'm old enough to be his mother but so what!?) The place was quite crowded for a Wednesday night and I knew a few people in the crowd so that was fun. Again I split my meal with a friend, we had the Rocket Salad and gluten free Margherita pizza. 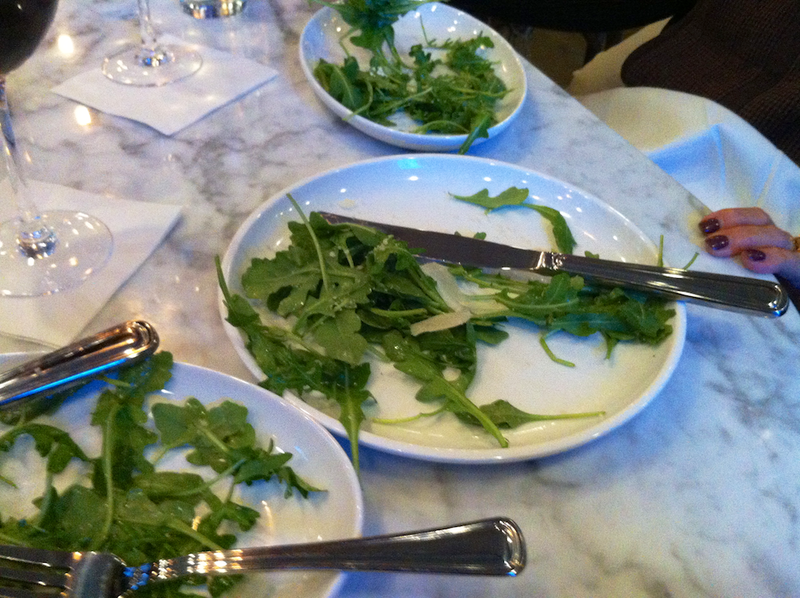 The salad was fine but the greens are so...thin that you can't stab them with a fork. So you have to shovel them all on to your fork with a knife or your finger. I'd have liked it better if there was some other type of lettuce mixed in there that was a bit firmer so I could actually stab the arugula against it. Small complaint but it was hard to eat. My real problem was with the GF pizza. I've been GF for about 11 years now so I get how hard it is to make a really good GF pizza. That being said, it has been done. Prior to ordering it we did ask if it was a thin and crispy crust. We were told yes. The first problem arose when it took more than 45 minutes after we ordered it to get it. Maybe they make the GF dough to order but if so they really should tell people that order it there will be a LONG wait. The next mistake was the size. It's tiny. The other pizza's they serve there (made with flour) are large. So we should have been told up front that the GF pizza was very small. And the bottom of it was almost raw. It was certainly not crispy. I wouldn't exactly call it a thin crust either. However; by that time we had waited so long for the pizza I was starving and just wanted to eat. 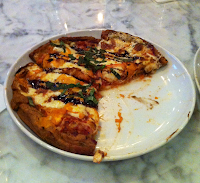 The very best GF pizza I've ever had is at the Risotteria in NYC. It is to die for. 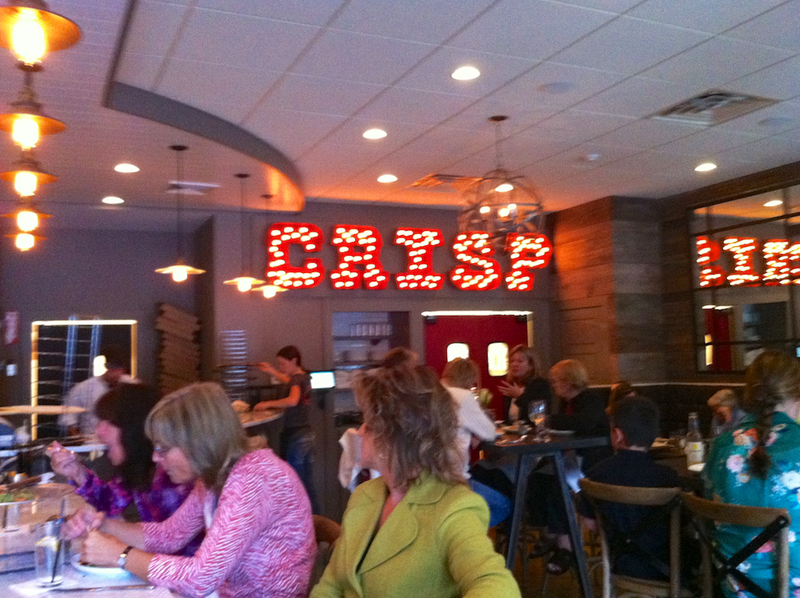 (hint hint Crisp, they sell their pizza dough frozen and in a mix). It's so good it really isn't fair to use it as a comparison to anyone else (but I do because if the folks at the Risotteria can make GF pizza dough that tastes so wonderful then really other people should be able to as well). I actually go to NYC just to get pizza. However, there is one place on the Cape that has really good GF pizza and my feeling is the chef at Crisp should sneak over to this place and try their GF pizza. In terms of goodness it's close to the Risotteria, not equal, mind you. But close. 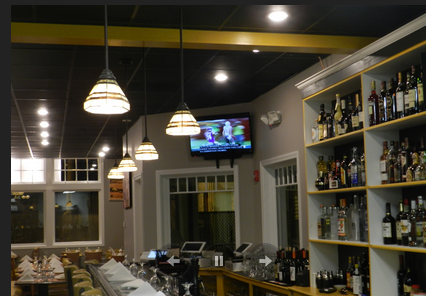 (drum roll) It's at Wicked Pizza in Mashpee. First of all at Wicked their pizza is big, like the non GF pizza's they serve. And the dough is rolled very very thin. This is important with GF pizza because in my experience it is very difficult to cook it thru and get it crispy on the bottom if it isn't super thin. When you get a pizza at Wicked its very thin, cooked all the way thru, and boy is it crispy. That's how a GF pizza should be. That is not close to what we got at Crisp. I don't know for sure, but I bet the chef at Crisp does not have to be GF and I'm also betting that he/she has not had a lot of experience with GF pizza. I can only hope they take my advice and try a few so they can make some adjustments to their recipe. I'd suggest that you stick with the GF pasta and skip over the pizza until they make some improvements. So there is my review, a bit mixed. I'll certainly go there again but I'm not going to order pizza. You can see the Crisp menu here. I know, I know, it's been a long time since I've posted. I am sorry, way too much has happened and I've had trouble managing it all. I've sold my home and bought another one. Making that happen was a new cliff hanger a day. It was a difficult sale but without the help of my agent, Michelle Tucker at William Raveis Realty in Osterville, I wouldn't have had a sale. And she helped me find the perfect new house too. Thanks, Michelle! I've had a very sick family member and my dog almost died from DKA and is now diabetic. Thank you so much Dr. Tom Burns and staff at Veterinary Associates of Cape Cod for saving him and helping me thru this. My schedule has been filled up with school and modeling jobs. Somehow life got in the way of writing. Many of these things are still on the table, along with a new home rehab that is underway. Forever indebted to Jim Bird and crew at Windjammer Building and Remodeling for making this as easy as it can be. But seriously, I am going to really try and start posting again. So my first post is mostly about gluten free restaurant news. However if you are not gluten free, please keep reading as I talk about food and who doesn't love that? 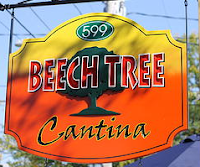 Let's start with the Beach Tree Cantina on Main Street in Hyannis. I raved about that place last spring, I really enjoyed it and one of my favorite bartenders from The Islander at Crosby Boat Yard, Caitlyn, started working there (not any longer sadly). The food was great, the crowd was fun, and I had a lot of GF choices to nosh on. However once the huge outdoor area opened and the weather warmed up, I didn't go as often. I don't know what happened to me... I use to love big noisy crowds (when I was like 21!) but it was just too loud and crazy for me outside, not to mention I hate plastic cups. Something about getting a high priced margarita in a plastic beer cup that doesn't appeal to me. And that margarita didn't taste as good as it use to. Did they change the recipe or was it the plastic? One night I went with friends and we sat outside, which was fun until the crowd picked up. I noticed that that crowd quickly got a lot younger. Then we had to yell to hear each other, the noise level went way up (outdoor area was mobbed and there was music). Every 2 minutes people would cut in between us to get their drinks (we always sit at the bar) which invariably would spill a little bit on me. By the end of the evening I was hoarse from yelling, sticky from drink spills, and bruised from all the jostling. Maybe I'm chilling out more as I get older but I didn't go back there all summer long, I was hoping that after Labor Day it would settle down a bit. And it did, so I was hopeful because it's a nice place with decent food. I was inside at the bar with a friend and went to order a few of the items on the menu I knew were gluten free. As usual I told the bartender there I needed to be gluten free and he said, "I'm sorry we don't have anything that is gluten free." Huh, you use to? Another employee came over to talk to me and said the only thing I could order was a salmon salad. I did order that and it was great but I'd like a few more choices. I find this a little bit odd because Mexican food almost always has naturally gluten free options, like chips and salsa, or enchiladas which are made from corn tortillas. But no, now nothing is gluten free. I don't know when they made that decision but I'm not happy with it. I hope this isn't a trend. I'm always astounded when a restaurant makes a decision like, we won't do any allergy meals or gluten free meals. That is leaving out a huge percentage of the eating population. Which brings me to The Lanes at Mashpee Commons. I was so excited for them to open. My mom lives near the Commons and I have a few friends in Falmouth so we always meet in the middle in Mashpee. I love the restaurants that are already at both sides of the Commons but I'm always happy to welcome a new place, especially one that has something else to do in it - bowling! I was there with my friend Linda and my daughter a few weekends ago. We had had dinner at Siena (they do wonderful gluten free) and we walked over to see what the Lanes looked like. It looked fun! There was a huge, fun crowd (but not so huge that it put me off) that included people of all ages. All of them were having fun, eating, drinking, mingling and bowling. We had just eaten dinner so we decided to check out how long the wait was for bowling - over an hour. I think this place is going to be a hit. It is owned by the folks that own Bobby Burns. I was looking forward to going again soon, earlier so we could eat there and then bowl. Therein lies the problem. I emailed them about what they might have that is gluten free and they got back to me saying that they don't do gluten free at all. They said that it is a small kitchen and they felt it would be difficult to control cross contamination, that they didn't not want to offer it if they couldn't do it right. Ten years ago I would have said, "well that makes sense." Today, not so much. When I first went gluten free very few places offered any sort of gluten free food many because they were afraid of that cross contamination issue. However since then I have gotten more restaurant savvy and I can name many places that have tiny kitchens and still offer a few gluten free choices. It isn't difficult to have a pan or two that you use to cook a piece of fish in or a chicken breast in. A baked potato is gluten free, a salad, even a bunless burger. I can specifically name 2 Cape pizza places that do mainly pizza - pizza made from wheat flour and they offer gluten free pizza too. There is flour flying around their kitchens every day, all day and yet they easily manage to serve me gluten free pizza every week and I've never ever been glutened at either of them (and one has a tiny kitchen too). So when a restaurant tells me it's too hard to do, I'm confused. I can't remember the last time I went into a restaurant and they couldn't offer me even one GF choice... it was at least 8 years ago (heck even Beach Tree has that salmon salad). So I won't be going to the Lanes very often, I'm very sorry to say. Maybe they will let me bring in a take-out pizza from one of the pizza places I go to. But for those of you that don't have to be gluten free or have any allergy issues it looks like a lot of fun. It's cool and hip, check it out. 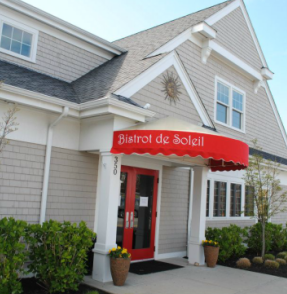 Next up is Bistrot de Soleil on Stevens Street in Hyannis. They are in the spot that use to be Harry's. I think, since Harry's closed, there have been a couple of restaurants or businesses in this spot that didn't make it. So with that bias I went in to meet my gang of friends there one night because one of them was having a birthday. I was pleasantly surprised. The set up of the place is jazzed up but basically the same layout as the "new, old Harry's" (remember the old one was torn down and they built and opened in the new one?) It's very nice inside. The bar area is small but lively and the bartenders are good. They greet you right way, the bar table service is fast, all good. I'm pretty sure I've seen ads in the Cape Cod Times for them that says they do vegetarian and gluten free food. They do and they are indicated right on the regular menu (which you can see online). I've been there twice now and both times I liked it. The food was good too. I had a Risotto the first time and the other night I had the Short Rib with a great red wine sauce, it was excellent. 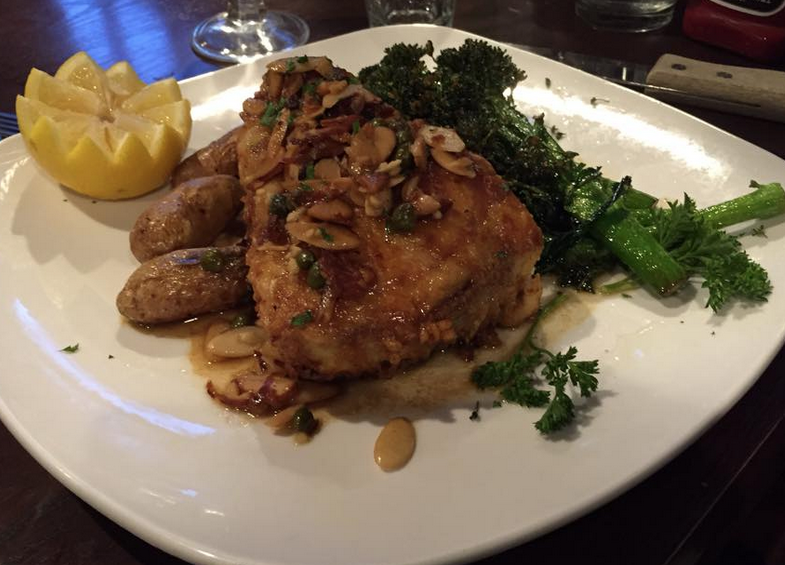 The service was great, food was very tasty, atmosphere was cozy and warm. The first time we were there it was a Monday night and not very busy. This last time was a Friday night and I'm glad I got there early. Both the restaurant and bar were full. The crowd was a good mix of people of all ages. I'll be going back again soon. 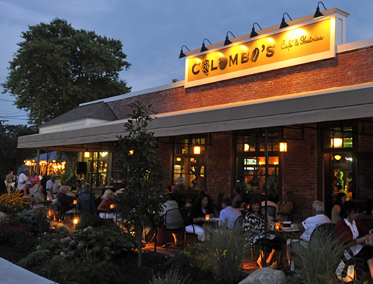 Last but not least is Columbo's on Main Street in Hyannis. When it first opened I went there a number of times and over the years have been a customer but they were not hugely gluten friendly back then. They always found things for me to eat but without any sort of GF menu it involved a lot of back and forth with the kitchen and not a lot of options. Well that has changed they now have a GF menu. It isn't extensive but it is good. I've always liked the restaurant, it has ample parking, and it's just a nice space. It always has been a lively crowd with a good vibe and it still is. I've been there a few times in the past couple of months and have really enjoyed it every time. The bartender also worked at The Islander at Crosby Boat Yard (a fav of mine in the summer) a few years back and sadly I'm drawing a blank on his name (I'm so sorry, I honestly have name dyslexia) but he's a really nice guy and a great bartender. He recognized me right away from The Islander and was attentive all evening long. It is my understanding they have had the GF menu for a while now and they use to also offer GF pasta but they don't any more, very sad. I have asked for it each time I've been there and I hope you do too because maybe if we keep asking they will bring it back! After all it can't be that hard to store a couple of boxes of GF pasta, right (I'm not in the restaurant business so it probably isn't quite that easy but I hope they reconsider the pasta thing)? The first time there I ordered a few items directly off the menu and they were all excellent. The second time I noticed a couple of dishes on the specials menu that should be GF so I asked if they were. After a trip to the kitchen and a conversation with the chef the answer was yes, so I had a risotto special. Excellent! The chef clearly knows his business... both GF and good food. I'm a regular there now and looking forward to going back again soon. It is my understanding that Columbo's is owned by the same "family" that owns the Black Cat, the Roadhouse and Beach Tree Cantina! I don't know if the Roadhouse and Black Cat currently have GF menus, I'll have to check that out soon but I can tell you I've eaten at both places and they have always worked with me to provide me with great GF options. So why can't they do it at Beach Tree Cantina? Maybe being owned by the same "family" isn't the same as being run by the same people. Shrugs. Either way, I love Columbo's now. So, that's my latest update. I'm updating my gluten free dining on Cape Cod list too and working on a guide for going gluten free when you are first diagnosed. If you have any restaurant news please let me know! ** PS: Since I mention Harry's I want to tell you that they are on Willow Street now. I haven't been there yet but I heard it was the same chef and good music. I have no idea of they do GF but I'll try and find out!